This one right here is delicious!!!! First off, again a no beef burger and again you won’t miss it! You cut out tons of fat and calories with this simple switch up! 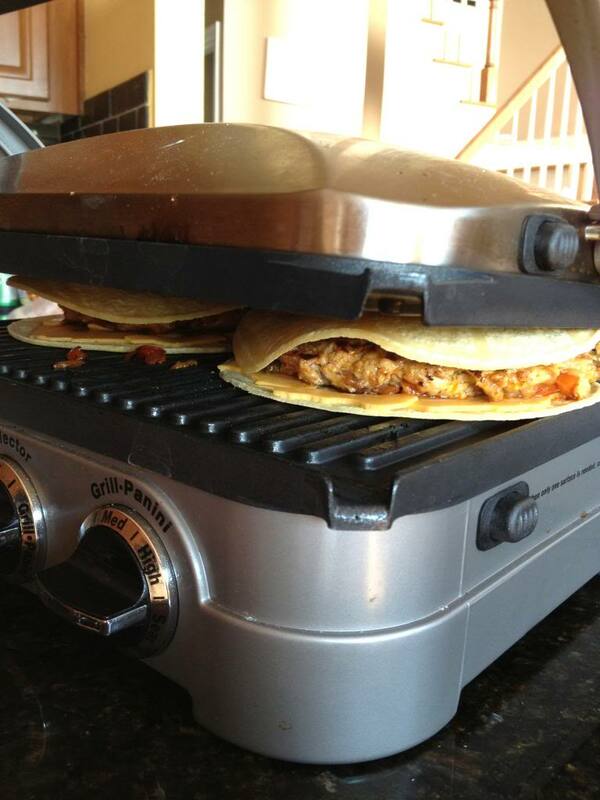 Second, this is basically a combo of chicken fajitas, burgers and a quesadilla! 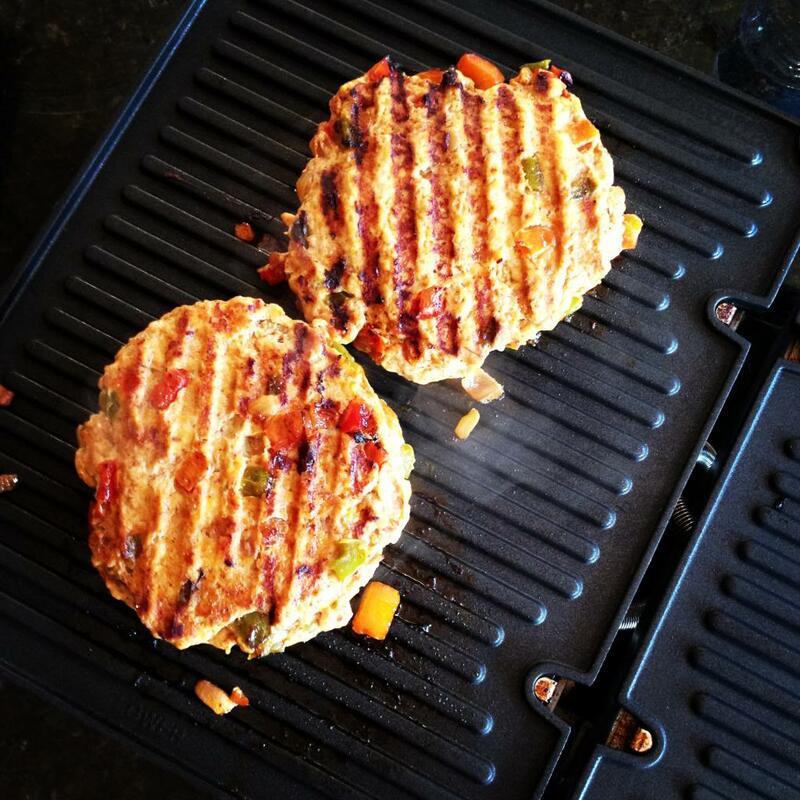 A lean chicken patty with lots of peppers, onions and some chili powder. 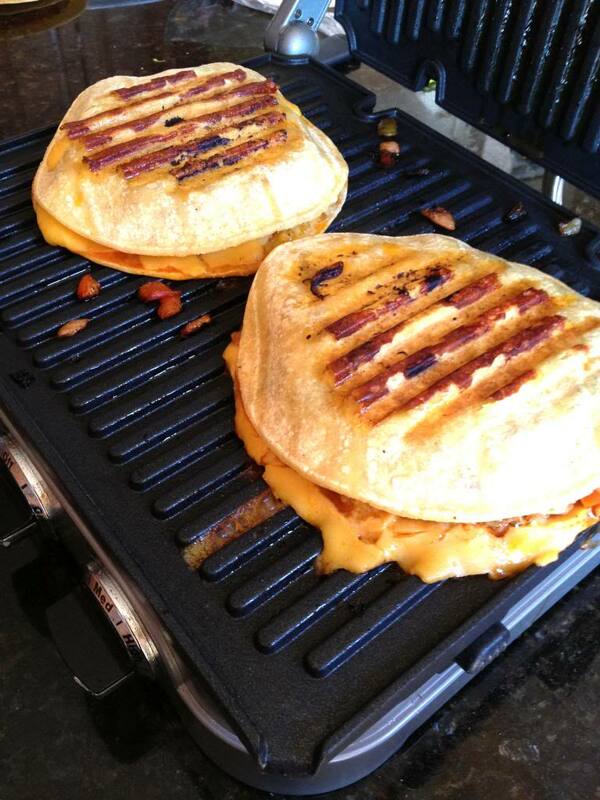 Grilled to perfection then pressed with cheddar between two corn tortillas! Great flavors, so so good!!! 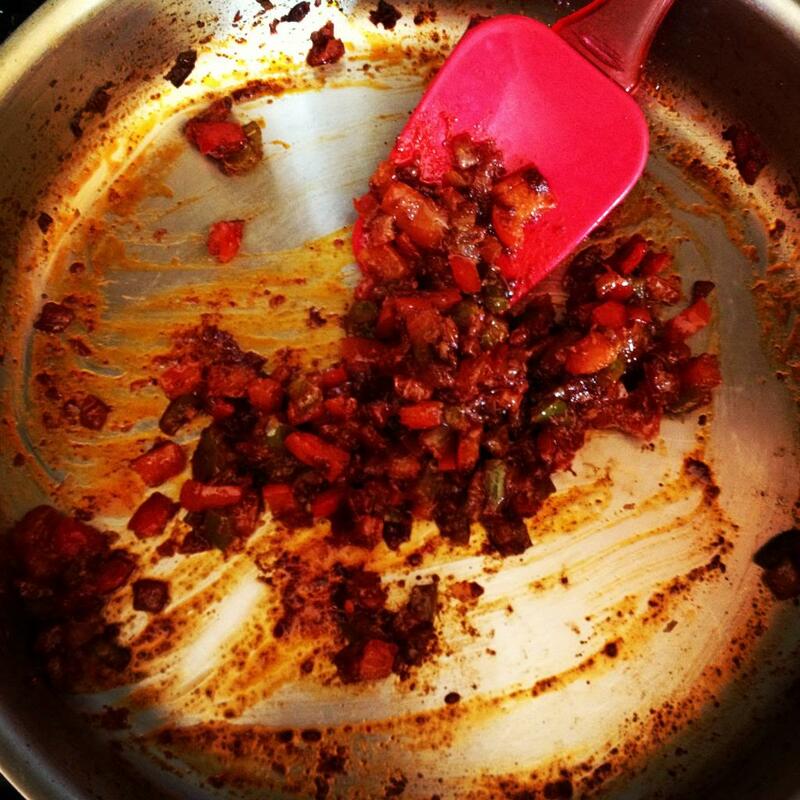 In a saute pan, over medium heat, add a small drizzle of olive oil. 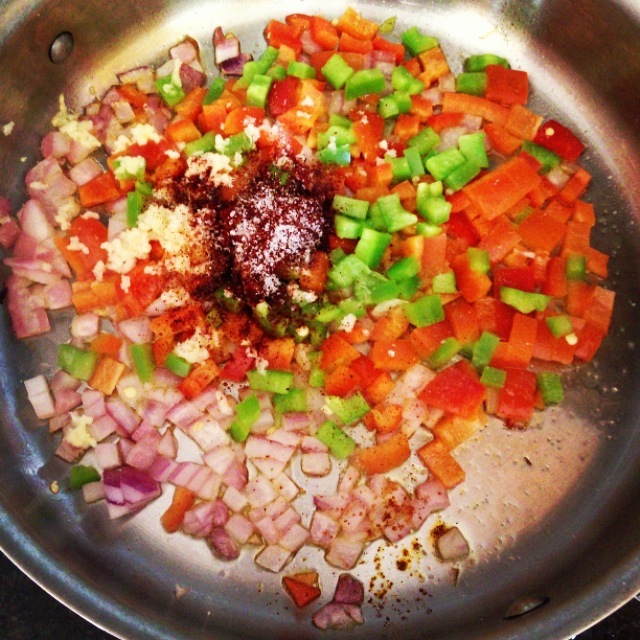 Sauté the peppers and onions until softened. Add in the chili powder, salt and pepper, cook for another couple minutes. Allow the peppers and onions to cool a bit. In a large bowl mix together the ground chicken and the peppers & onions. Form into 3 equal patties. You’ll want to make them relatively flat to cover most of the corn tortilla. Grill for a few minutes per side. Remove from the grill. Place a slice of cheddar on top of a tortilla, the burger on top of that and then another slice of cheddar and another tortilla. 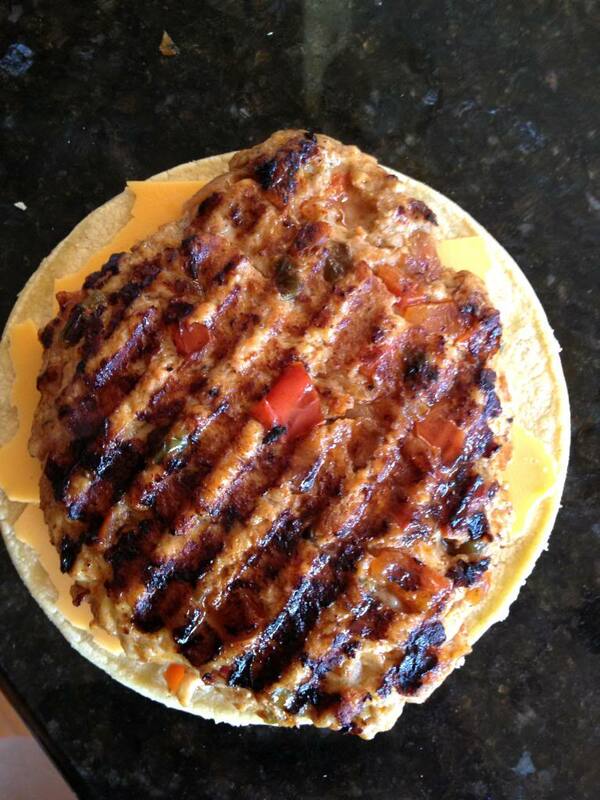 Place back on the grill and press until the cheese is melted and the tortilla is golden. The vegetables are so pretty and colorful, they make a great addition. The burger looks delicious.. yum! I have to buy myself an electric grill. Yum, loving your recipes…totally pinning these!! Newest follower via GFC & Bloglovin! Check out my blog & recipes sometime! I am seriously in love with this recipe! Thanks so much for sharing at Sweet & Savory Saturdays #15.